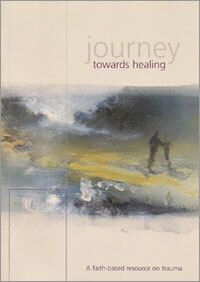 ‘Looking Back’, a painting by John Jermyn, was chosen as the flagship image to represent a joint effort project, named ‘Journey Towards Healing’, formed by a collective of faith based groups throughout Northern Ireland. This project was funded by the Victims’ Unit, First Minister and Deputy First Minister, Stormont Castle, Belfast. The Victims’ Unit would work with a group representing faith communities to produce a resource that would support those working with victims and survivors of the troubles. The aim of ‘Journey Towards Healing’ was to establish trauma advisory and support panels across Northern Ireland in order to develop partnerships in a range of areas relating to victims and survivors. 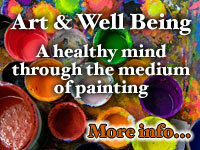 The painting ‘Looking Back’, has been used widely throughout the project. It has received positive response by all, as it has reflected and captured, be it in a simple fashion, the effects of the troubles. The image has since been used as a representative symbol at International Dialogue conferences around the world, relating to trauma and support, in other war torn and troubled regions.